Home Tips Could Your Car Insurance Be Invalid? Unfortunately, car insurance is one of those necessary evils that all motorists in the UK need to pay out. These costs are largely influenced by the car you drive, your own personal driving history, your age and even where you live. When we take out car insurance policies on our cars each year, we normally have to agree to a disclaimer that says the information we provide is correct to the best of our knowledge. But despite agreeing to such a statement, a growing number of drivers are providing the wrong information to insurers! If you ever have to make a claim on your policy, and it is discovered that some of the information you provided was incorrect or false, it could lead to your car insurance policy being declared null and void; in other words, it would be as if you were driving your vehicle with no insurance at all! Could your car insurance be invalid? Here are some of the most-common reasons why insurers declare policies void. Similarly, if you fit any “bolt-on” items yourself (such as bigger alloy wheels, lowered suspension, engine upgrades and so forth) these would also be classed as modifications. Contrary to popular belief, there aren’t any hard and fast rules in the insurance industry as to what constitutes as being a modification or not, but if you go by the above guidelines you will be OK. If you don’t make a claim on your car insurance for the duration of the policy (typically 10 or 12 months), your car insurer will reward you with a year’s no claims discount. When your insurance policy is up for renewal, your existing insurer will normally send you a document confirming your new amount of no claims discount; this is what is applied to your next year’s policy. Because motorists will often change insurers each year, they can sometimes get confused over the amount of no claims discount they have, resulting in benefiting from bigger insurance discounts than they are entitled to. Some petrolheads will blatantly lie about the engine in their car so that they can get cheap car insurance. For instance, they might claim their Vauxhall Corsa has a 1.0-litre engine when they have retro-fitted a 2.0-litre turbocharged engine to the car without telling them! 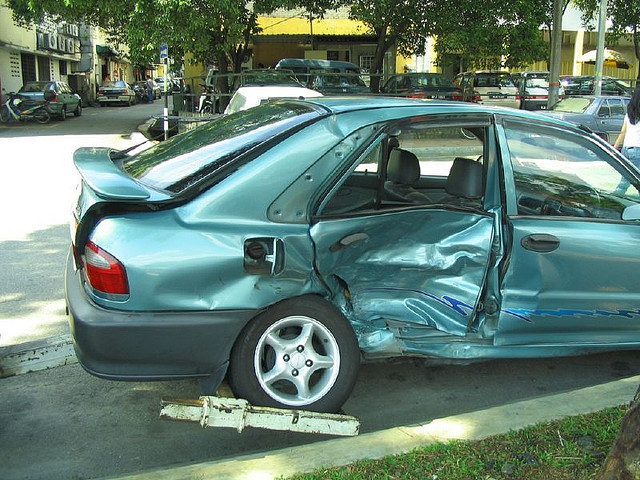 Others might unknowingly supply the wrong car details to their insurers. I recently bought a used car from Big Motoring World, and I had arranged to pick up my new car before starting work on one particular day. Whilst I was checking out the Big Motoring World opening times on my iPhone (I arrived too early and had to wait for them to open up), I received an email from my new insurance company with the cover details for my new car. I had discovered that they had my car down as a manual, even though it was an automatic, and so I had to phone them up to change the details. Sadly, this cost me an extra £10 on my annual policy for some reason, but my insurer told me that if I made a claim and it was discovered I supplied them the incorrect information, my claim (and policy) would have been cancelled and declared void! Next articleMOT Coming Up Soon? Make Sure You Do These Checks First!